We have a mixed school system in our home. 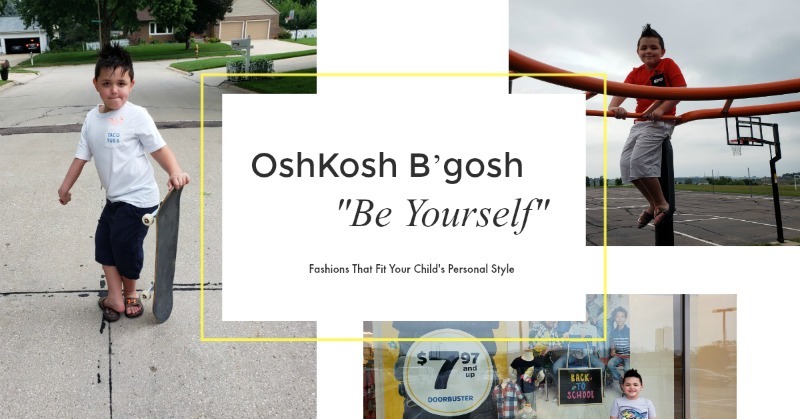 My oldest are both homeschooled after my daughter’s major surgery several weeks back and my boys are still happy attending public school where they can learn and see their friends five days a week. Having the benefit of a brilliant, scientific husband and my teaching knowledge, we support learning even during holiday breaks. The holidays are special for us as it is a great time to not only give the gift of knowledge but also play around with it too. So this week, we went all STEM Circuit Scribe style and are still having fun with it to this day! 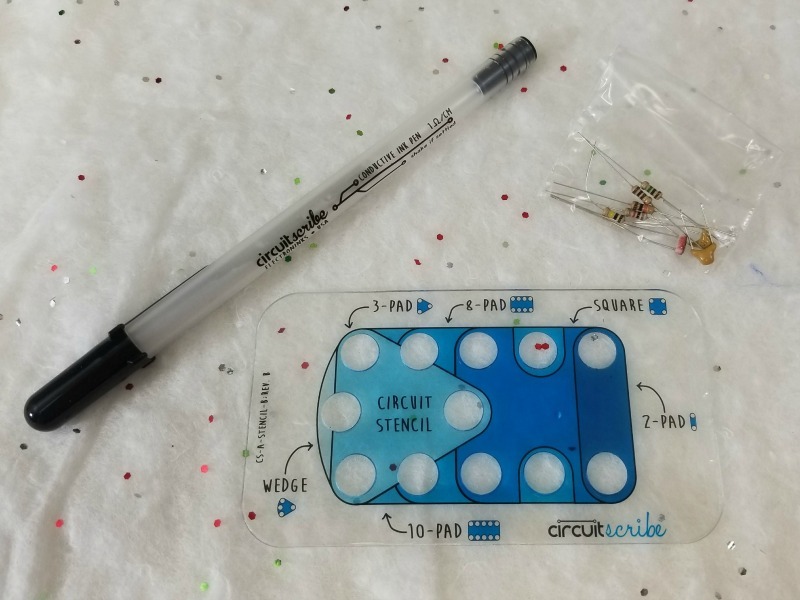 The Circuit Scribe Basic Kit is an entry level kit ideal for learners in the electrical makeup of the circuit board and its function. 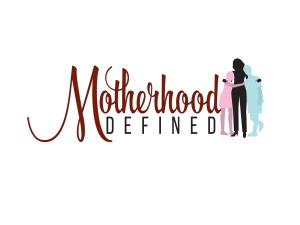 This is a favorite of ours to teach and share as my husband’s specialty is electrical and nuclear technology. Getting the kids interested in this is always a grand moment in our household. One that can be enlightening and truly fun. The Basic Kit comes with a full-size pen, light outputs, and so much more! Everything you need to explore basic circuit concepts like conductivity. 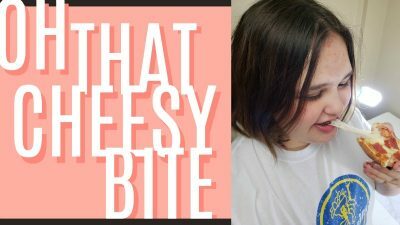 This is a great starter area for the beginner. Though this set also has the capability to allow you to work up to creating a touch-sensitive circuit using the NPN transistor and the included guided workbook. The Basic Kit Plus contains a workbook with 27 pages of lessons that works through resistance, elements in parallel and series, open circuits and short-circuits, and more. The 9V Battery Adapter module provides power to your circuit. It contains an on/off switch, allowing your circuit’s power to be controlled at the source. 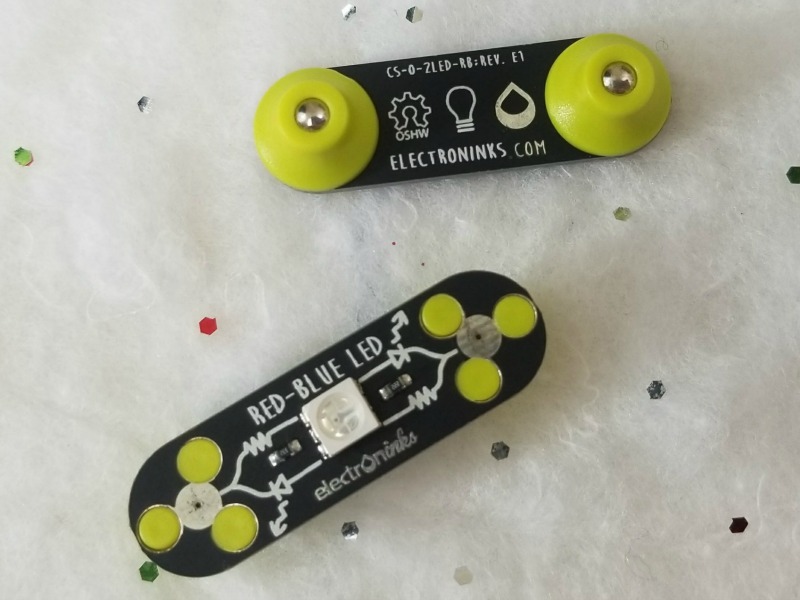 A blue LED indicates when the power is on, while a red LED indicates if the module is shorted. This is a must have for any basic Circuit Scribe build. The Battery is also included with this kit. 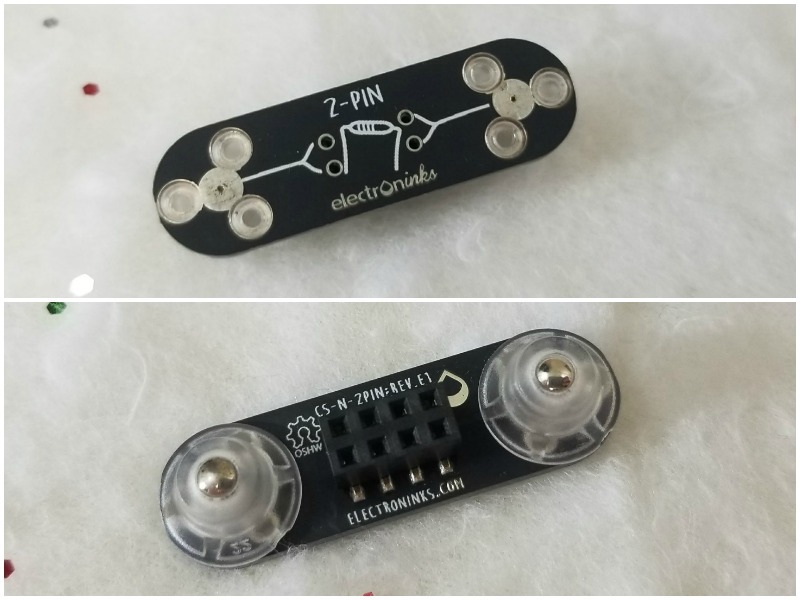 The Bi-Directional LED module works in two directions. When current flows through it one way, the LED will be blue; flip it around and it will turn red! There is two of these included with the basic set and each using has two powerful magnets on the back end to hold into place on the steel sheet. The SPST (single-pole, single-throw) Switch is a switch with a single input and a single output. This can be used to switch on and off any part of your circuit. This piece we call the light switch as it works just like the ones on the walls of our home. The NPN Transistor acts as a switch or amplifier. A small amount of current to the base will allow a large current to flow through the emitter from the collector. 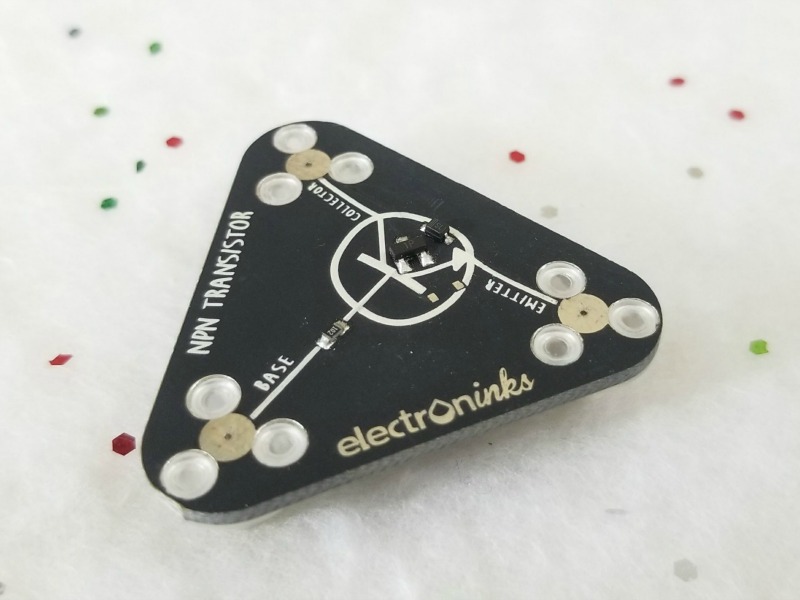 Use it to amplify the signal from a resistive sensor (like the photo sensor that comes with the 2-pin module) or operate components that need a lot of current (like the motor). A similar transistor revolutionized the computer industry. Make sure you do some research and add this to your chat time while creating your Circuit Scribe. With the 2-pin adapter module, you can incorporate any 2-terminal through hole component into your circuits. 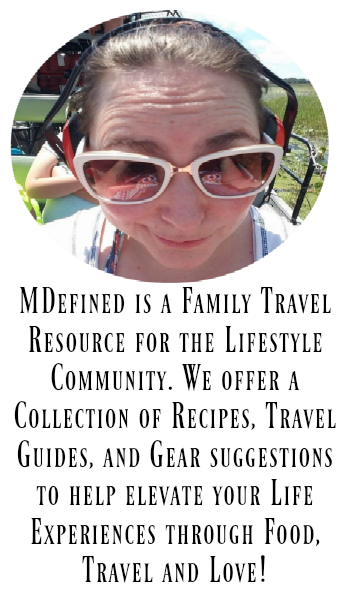 Use components that you already have in your classroom or workshop to create a custom module! 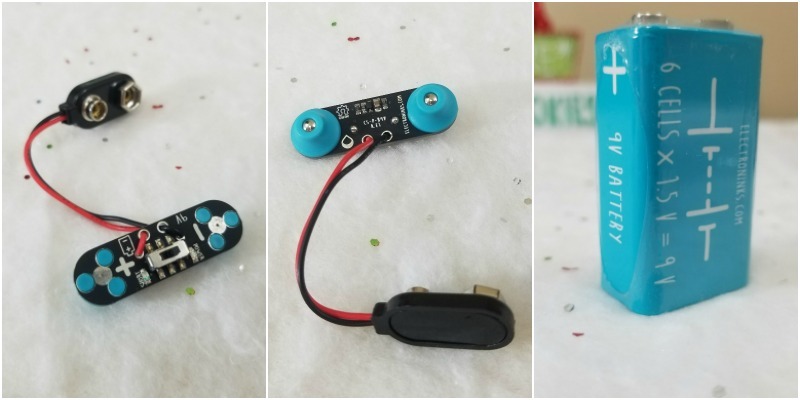 Included you will also find 5x resistors (100, 1k, 10k, 100k and 1M ohm), 2x capacitors (0.1uF, 1.0uF), and one photoresistor (10k ohms) which go hand in hand with your adapter. Circuit Scribe’s flagship is one of the most unique advances we have ever seen! Use it on any surface a rollerball pen will write on to create your conductive trail. The Circuit Scribe pen can draw 60-200 meters depending on writing surface and speed (60 meters on absorbent surfaces like a napkin, and 200+ meters on photo paper). Photo paper also has other benefits: you can erase ink by scratching a trace away, and you also get the highest conductivity on this surface (<2 ohms/cm). This piece is also sold separately should you need to replace for your next series of lessons. 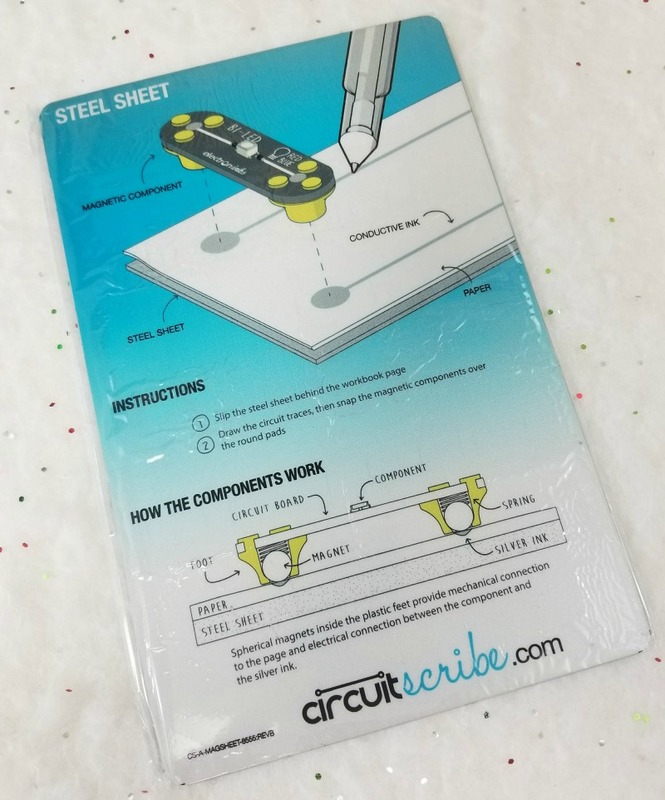 The steel sheet serves as a magnetic surface for your Circuit Scribe module kit. While this piece is not a necessity, we found it to be the ideal work space for beginners. 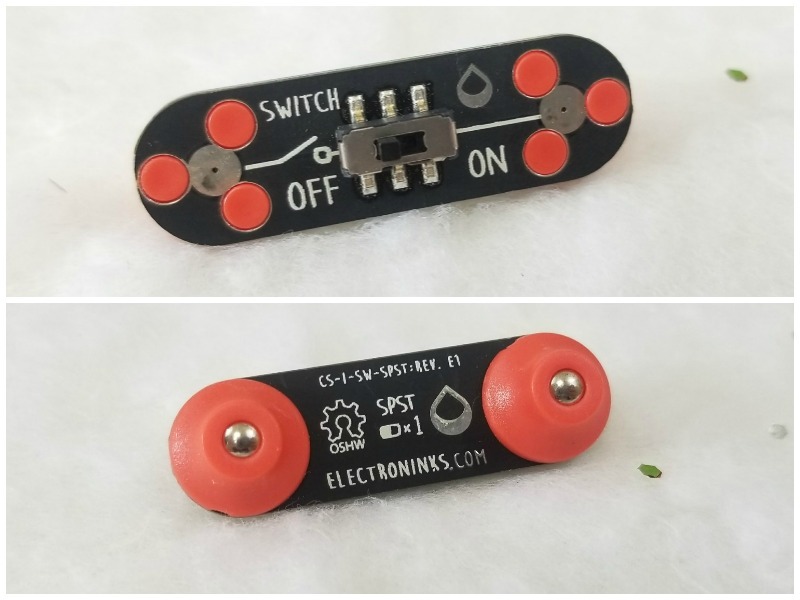 Simply slip it behind the page you’re working on and the modules will magnetically snap down with a nice firm electrical connection to your conductive ink! This is especially great for those who are more hyper in nature and get easily frustrated. The magnetic ability keeps all in order and your circuit build secure. 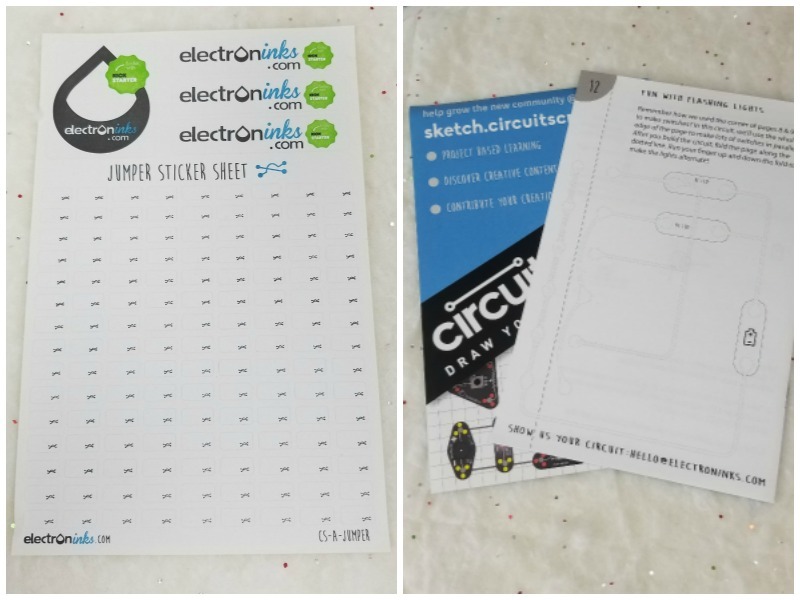 A circuit stencil, jumper sticker sheet and optional workbook are also included and/or available with the Circuit Scribe Basic Kit. 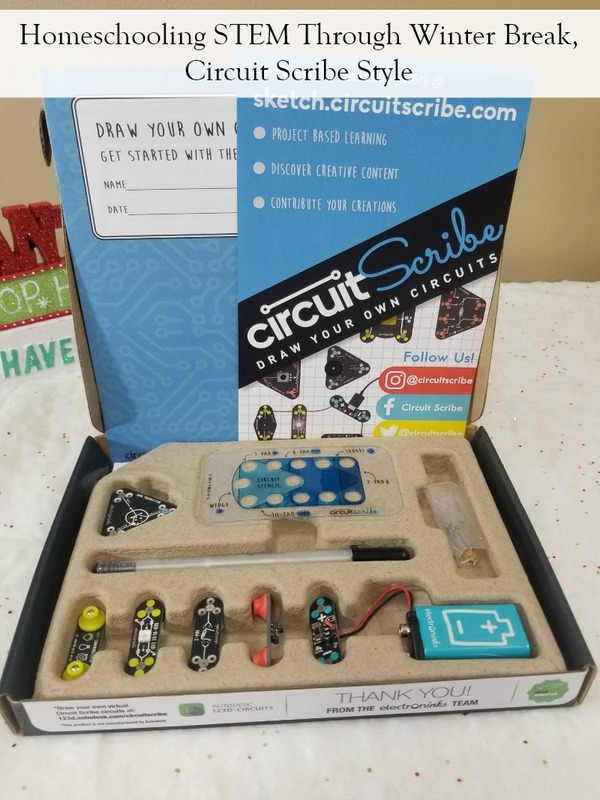 No matter if you are a homeschooling family, a teacher or just a parent that likes to bring a bit of higher education and hands-on training right at home, Circuit Scribe has a set for you. 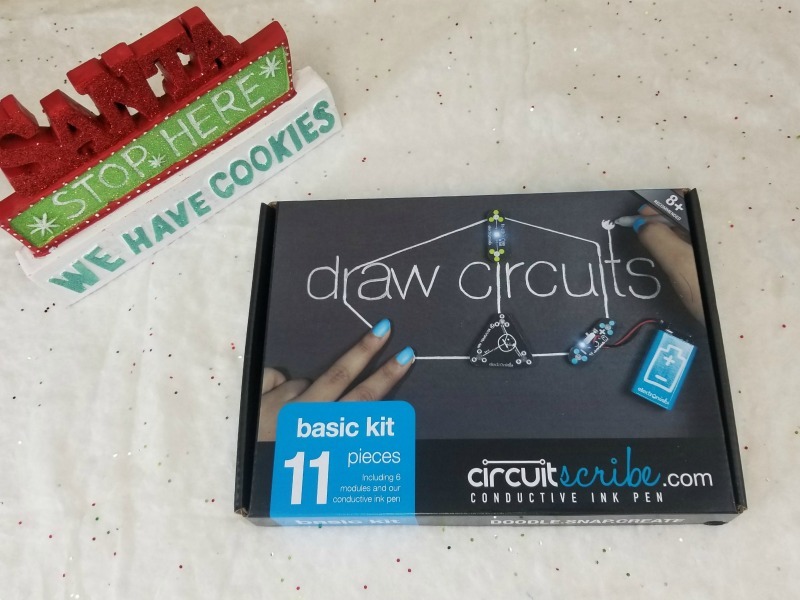 Visit them online at shop.circuitscribe.com and discover all of their kits, bundles and singular products available to help get you going on your next project.